Enjoy a Personal Luxury Chauffeur services from Toronto Downtown Hotel and all Accommodation to Niagara Falls or Niagara-on-the-Lake. Your transfer service operates 24/7 daily and includes door-to-door service and luggage handling from your professional driver. Travel in comfortable air-conditioned 5-seat vehicles. Looking a professional, customer focused driver with the Luxury car and experience driving within the greater Toronto area, Travel in a private luxury Vehicle Toronto Downtown Hotel and all Accommodation to Niagara Falls or Niagara-on-the-Lake. Simplify the whole process by scheduling a private vehicle with a professional chauffeur. It’s that simple. And with the choice of a 3-person luxury sedan, it’s easy to include friends and family. Up to three medium size suitcases and three carry on bags is allowed. The driver will pick you up at your Hotel lobby, or your Accommodation place and handle your bags upon greeting. 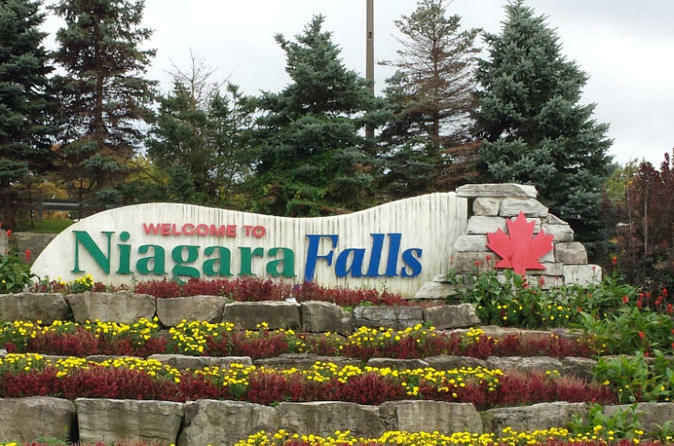 Relax on the approximately 2-hours long journey to either Niagara Falls or Niagara-on-the-Lake, Canada Using the free-way (the toll is included in the price) by comfortable, climate-controlled vehicle. Rates quoted include all Taxes. Parking if required may be assessed as an extra.